Hundreds of artists do their thing on the sidewalks and concrete walkways of Paseo Colorado in Pasadena. Themes included animation, and movies. The chalk artist festival was going on in conjunction with live music off Colorado Boulevard and in the Vroman’s Book Store courtyard. 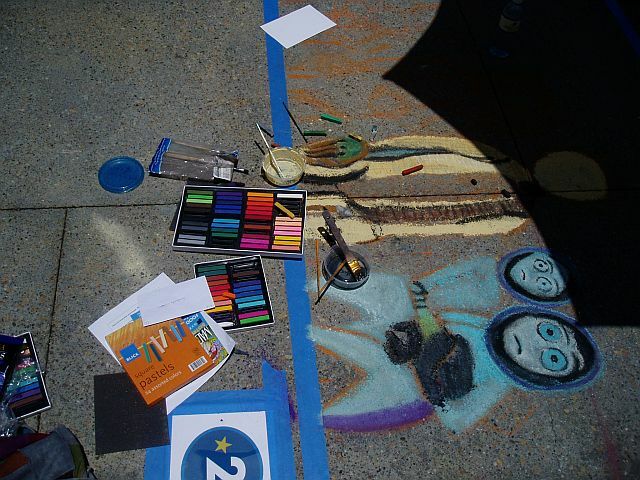 The Chalk Festival continues Sunday, June 20. It is free.